I missed my chance to rave about the new Daft Punk album last week—for indeed that’s when it was finally issued–but rather than write about it I chose to be stuck aboard an American Airlines flight trapped on a Dallas runway due to inclement weather. But it’s every bit as good as you might’ve heard, and of course it is a huge sales success, and this is good. Coincidentally, in Dallas I was watching an extremely impressive live performance by Australia’s Empire Of The Sun, whose new album, due in a few weeks, is, like Daft Punk’s, one of this year’s very best. Speaking as the sort of music fan who devoted the prior two weeks to listening to the complete recorded works of Country Joe & The Fish, Country Joe McDonald and Barry Melton—all three, which is the sort of thing a guy like me does when new stuff seems kind of dull—this is a very good sign. Still, does any of this really make a difference when today’s biggest music story involved a Danish music fan who placed his hand on Beyoncé’s rear end? No. That was simply the coolest thing that happened all week! We only document facts here! John Fogerty: Wrote A Song For Everyone (Vanguard) Anybody with even the slightest inkling of what constitutes great music knows that John Fogerty, back in his Creedence Clearwater Revival days, had a direct line to the gods—and that between that band’s many hits, and the still-underappreciated psychedelic jewels bedecking his band’s first two albums, the man could simply do no wrong. Forgetting all the legal mumbo-jumbo that dogged him post-Creedence, the raw facts are that when Fogerty lets rip his classics, of which there are many, few can argue about their inherent greatness. 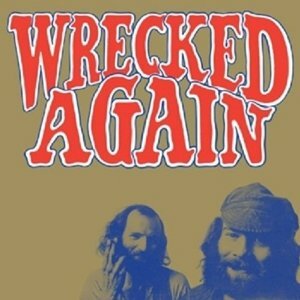 Many of those same songs are here, redone and modernized, and one supposes the selling point is the collaborative nature of the project: appearing along with Fogerty are the Foo Fighters, Keith Urban, Miranda Lambert, Bob Seger, Kid Rock, My Morning Jacket, and many other enormously popular contemporary artists. So what’s to say? The originals are still the greatest? “Proud Mary” really needed Jennifer Hudson to take off? Congrats for getting the elusive Dave Grohl into an actual recording studio? Ah, screw it. 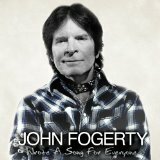 These songs are classics, any musician with ears knows that Fogerty’s songs are, literally, standards, and any opportunity to collaborate with a rock ‘n’ roll giant is not to be ignored. On its own, this record still royally rocks—and if it points anyone toward CCR’s original classic versions of these tracks, all the better. Great, great stuff—modernized or in its original form. Recommended. 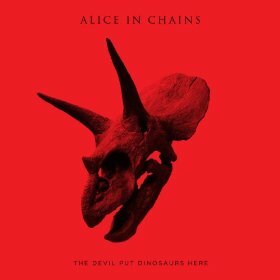 Alice In Chains: The Devil Put Dinosaurs Here (Virgin) The way music listening goes these days, someone can just line 3 or 4 albums up on a playlist, press “play,” and go about their business. So it was this morning, when this latest set by AIC came in as album #3 or so—deep enough into the playlist for me to actually forget who I’d intended to hear, and to hear it purely for what it was: raw, strangely non-derivative rock ‘n’ roll. And it’s quite good. Forgetting the history that’s attached to the band—and there’s a lot of it, not necessarily good—this new album is surprisingly strong, strong enough to make one temporarily forget about its departed members, or the inescapable role Alice In Chains played in rock history during the ‘90s. The 12 songs to be heard here are energetic, unexpectedly subtle at times, and very much the work of a functioning band rather than one that “replaced” the departed Layne Staley. As catalogs go, AIC’s is not weak at all—and The Devil Put Dinosaurs Here adds much to the legacy all these years later. Laura Marling: Once I Was An Eagle (Ribbon Music) A startlingly good record by Marling, whose fourth album is a richly rewarding, personal affair that has unavoidably been linked to Joni Mitchell—apparently if you’re female, intelligent, and have a way with words and melody, this has to happen—but shows an artistic independence and spirit that is entirely her own. Back before they sold actual records, Mumford & Sons stopped by the offices at Yahoo and in passing offered up their praises of Marling, with whom they’d worked, and we have to thank them for that: Like Mumford, Marling would appear to be pursuing a personal muse that barely seems cognizant of current commercial trends. That the result sounds so fresh and so individualistic—augurs well for all of us. Superb arrangements, compelling production by Ethan Johns, and a songwriting perspective that is subtle enough to demand repeat listenings—a rarity—this album is a mature and compelling gem likely to sound even stronger with the passing of time. Great stuff. 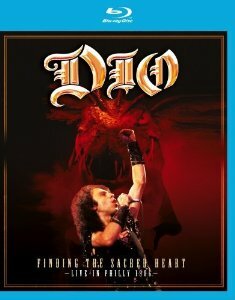 Dio: Finding The Sacred Heart: Live In Philly 1986 (Eagle Rock Blu-Ray DVD) Very strange how perspective puts a different slant on things. Back in his heyday, the late Dio seemed a good, but somehow workmanlike prototypical hard rock/metal vocalist. But all these years later—and it’s been 27, one must point out—his contributions and skill can be viewed in the same manner, historically speaking, as, say, Italian Prog bands as PFM—in which we can, from this 21st Century vantage point, detach ourselves from historical context, from an era in which the hippest bands were largely Brit groups with funny haircuts playing “new wave” rock, and appreciate them, and Dio, for what they were doing right then and there. He really was an amazing vocalist, something of an archetype, and this document—also available on CD—captures him at his artistic peak. Disregarding the dated pyrotechnics, we’re give a close-up view of a very compelling singer, singing his own band’s work, as well as the contributions he made to the catalogs of Black Sabbath and Rainbow. 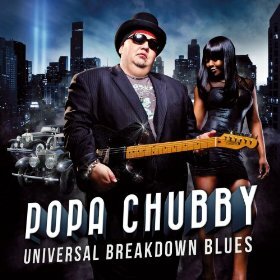 In 2050, this stuff will be as compelling as the Folkways catalog was 15 years ago. Keith Jarrett, Gary Peacock, Jack DeJohnette: Somewhere (ECM) Since the classic Bill Evans Trio of a half-century ago, the highly-skilled, intuitive jazz piano trio constitutes a jazz “approach” that, at its very best, will likely be perceived as playing in Evans’ inescapable shadow. 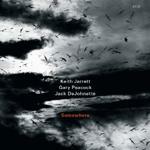 But pianist Jarrett, heard here in a trio format that has long outlasted Evans’, is making history, and certainly not repeating it—and this latest release, documenting a 2009 concert in Switzerland, further bolsters that claim. Interpreting an array of classics including West Side Story’s “Tonight” and “Somewhere,” Jarrett’s trio, renowned for wasting nary a note, constructs an artful, emotional sonic tableau that ranks among its very best. Blue Cheer: Rocks Europe (Rainman) From my standpoint the real progenitors of heavy metal—ever since their classic 1968 debut Vincebus Eruptum, featuring “Summertime Blues”—Blue Cheer made music history if only for their first two albums, then wandered off with a series of lesser discs both by themselves and departed lead guitarist Leigh Stephens, never to hit their early peak again. Those that followed the band—and who can blame them?—know that the band’s later-day guitarist Andrew “Duck” McDonald, who left and came back later, was especially good at reproducing the band’s early sound but offered much that was entirely his. 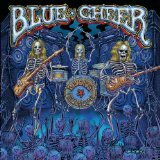 Meaning: In their later days, before original bassist/vocalist Dickie Peterson passed on, Blue Cheer live were no small matter. This set, largely taken from a 2008 German TV show, displays that vividly. Though Peterson’s speaking voice 40 years later sounded an octave lower than Tom Waits’, his singing—through such Cheer classics as “Out Of Focus,” “Just A Little Bit” and “Parchman Farm”—didn’t change an iota, and with original drummer Paul Whaley on hand, Blue Cheer went out exactly as they should have: loud, pounding and deliciously distorted. A fabulous document, Rocks Europe is a worthy reminder that nobody did loud better than Blue Cheer. 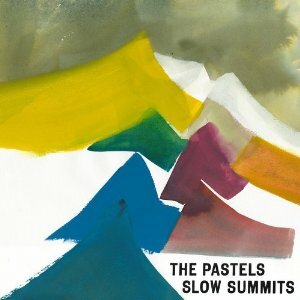 The Pastels: Slow Summits (Domino) How wonderful it is that one of the year’s best albums is quietly and unexpectedly released by Glasgow’s Pastels, who in the 15 years since their last disc have watched perhaps three or four of the world’s Next Big Things rise and fall methodically, as they are prone to do. 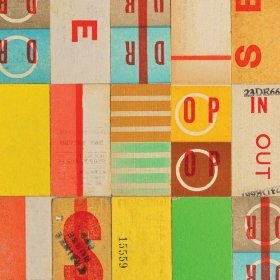 Recorded with the assistance of Tortoise’s John McEntire, whose sonic ear remains impeccable, Slow Summits features nine marvelously melodic, thoughtful songs, all intelligently wrought, all brimming with the confidence and self-assurance that inspired so many outstanding bands (Belle & Sebastian, the Vaselines, Teenage Fanclub) in their time—and all completely and utterly contemporary. Quiet, contemplative, and markedly mature, the Pastels are only getting better. 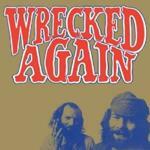 Michael Chapman: Wrecked Again (Light In The Attic) Those Americans who came across Brit folkie Chapman via the usual methods in the late ‘60s—maybe noting that he was on the same label as Pink Floyd and Kevin Ayers, Harvest—perhaps picked up his first American disc Fully Qualified Survivor after the fact purely for the presence of guitarist Mick Ronson, who’d impressed many via David Bowie’s The Man Who Sold The World. Those who liked what they heard had a hard time tracking down Chapman’s other works, since most of them never saw US release. But this, Chapman’s last recording for Harvest, is finally seeing general release here courtesy of Seattle’s Light In The Attic label—who’ve already released two other Chapman sets—and it’s a genuine public service: A comparative rarity, Wrecked Again captures the singer at an interesting time, before he shifted over to another label and started getting a tad rockier, and displays him at his intriguing best. Seek this one out. Underground Lovers: Weekend (Rubber) Apologies, since this has been out for nearly two months, but in this world of advance MP3s—and no physical product to hold in one’s hand—who knows when stuff actually comes out? An unexpected return from a terrific Australian band who’ve been releasing records since the early ‘90s, Weekend sounds just as good as this band’s very earliest works, offering up upbeat and personal tracks that recall that very interesting era when a host of international bands like the Sound/Into Paradise/the Cure/Comsat Angels blended melody, beat and oddly detached lyrics into a fascinating, now little-pursued approach that remains, even now, sharply effective. 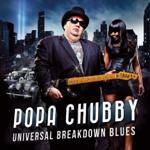 Popa Chubby: Universal Breakdown Blues (Mascot) I find myself strangely fascinated by guitarist/singer Ted Horowitz, who continues to record albums that are quite reputable, has constructed an image that is inarguably unique, and likely, more than once, has had to explain to people who may not know his work that he makes records under the name of Popa Chubby. That’s, uh, sort of cool.